The Classic Giant Wooden Blocks Tower Stacking Game takes a classic stacking game to new heights. The 54 wooden blocks are hand-crafted out of pinewood, and can stack over four feet tall. The dimensions of these blocks make this a truly jumbo game compared to other stacking games. The game is perfect for backyard parties, picnics at the beach, or just about anywhere. The game can stack to over four feet tall, so lots of fun can come tumbling down! The wooden blocks are individually hand-crafted out of pinewood. The pieces are solid with smooth edges, and easy to stack for the whole family. 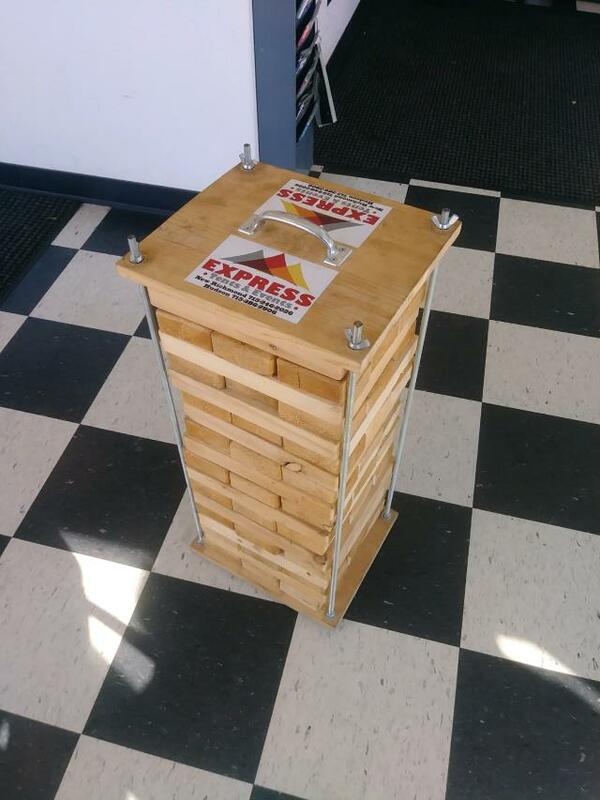 * Please call us for any questions on our game yard jenga rentals in Hudson WI, New Richmond WI, Baldwin WI, Clayton WI, Osceola WI and Western Wisconsin.